Our custom designed Ammo Can kit is a comprehensive universal gun cleaning kit that contains durable rod cleaning tools, our bestselling Military-Grade Solvent, Battle Born Grease, and our Battle Born High-Purity Oil; all in a convenient and heavy-duty ammo can style case. 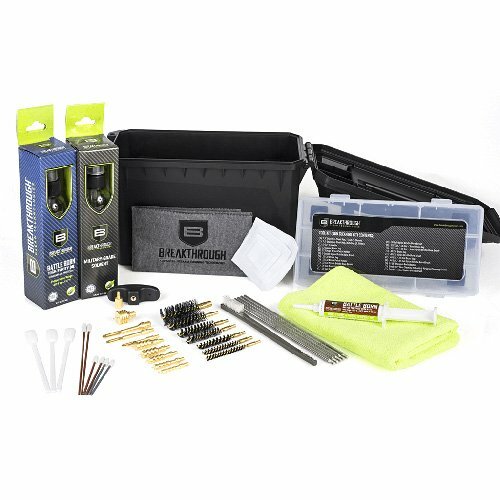 The Ammo Can gun cleaning kit is your ultimate gun cleaning system created to clean and maintain all guns from .22 caliber through 12 gauge. If you have any questions about this product by Breakthrough Clean, contact us by completing and submitting the form below. If you are looking for a specif part number, please include it with your message.